In their 1-0 victory over Independence, Clara Rooney sealed the deal for the Vikings with her free kick into the back net with 2:00 remaining in overtime. Others getting shots on the goal were Aubrey Buresh, Hannah Feuerhelm, Celia Lesmeister, Abigail Milburn and Elise Miller. Defending the net with four saves was Skyler Malone. 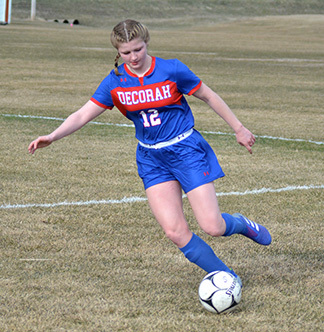 Next, the Vikings will Decorah will head to Waterloo East Monday, April 15, for a 5:30 p.m. game.